I am often perplexed why someone would chop down a living tree. A decade ago, my family relocated from the Washington, D.C. suburb of Kensington to sunny San Diego. A year earlier, I told my wife that the sign our time had come to leave the state of Maryland would be the next-door neighbor cutting down the beloved mulberry tree that fed birds and other wildlife in our backyard; he did so in late Spring 2007. With my father-in-law’s passing in January 2017, the Wilcox’s main reason for moving to the neighborhood—or even this Southern California city—is gone. Around us, University Heights changes, as soaring home prices transform the area’s character and the place feels less permanent place to stay. All this leads to discussion about another tree, mercilessly cut down earlier today. Quite unexpectedly, too. 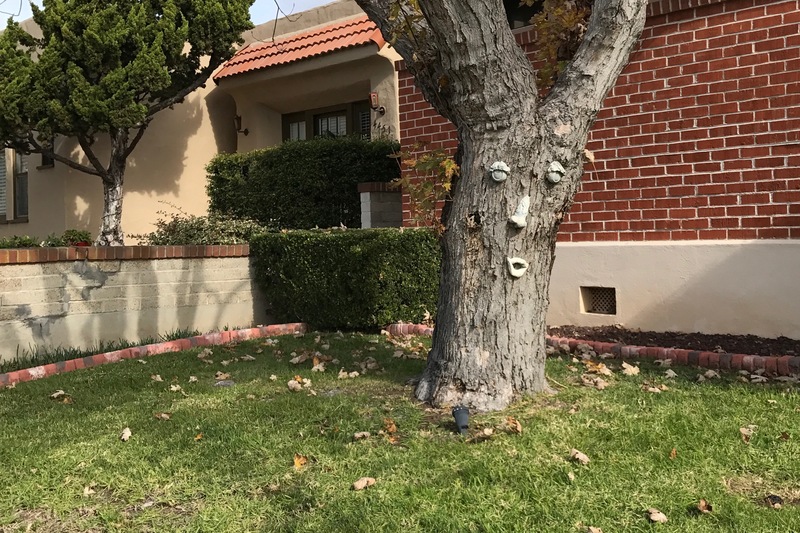 Long ago, someone created a face on the bark—making warm, welcoming the walk up Maryland Ave. from Meade to Monroe. My wife aptly says she is, or was, reminded of the talking trees from the Wizard of Oz. The friendly face, rustling leaves, and refreshing shadow—reaching over the “Little Free Library“—is gone. After a decade living here, my roots reach shallow soil. I could be more easily uprooted than the magnificent trunk obliterated this morning. Metaphor? Maybe. I shot several quick candids of the tree over the years, strangely posting none until now; too late for you to walk up and touch the bark. But the portrait stands where the living thing cannot. The photo is small memoriam and footnote about the neighborhood’s changing character. I captured the moment on Dec. 6, 2016, using iPhone 7 Plus. Vitals: f/1.8, ISO 20, 1/1497 sec, 3.99mm; 12:15 p.m. PST.